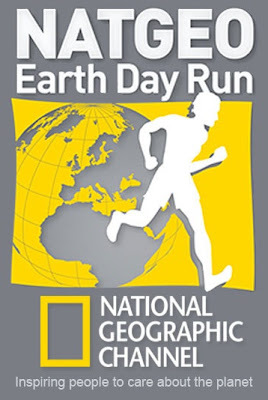 A bigger NatGeo Earth Day Run (EDR) is scheduled on April 10, 2011 at the Bonifacio Global City in Taguig as running athletes and enthusiasts await the big running event because of the 21K race that has been added. The NatGeo EDR features 3K, 5K, and 10K categories. A limited edition NatGeo EDR technical shirt is included when you register with each distance having an assigned color. It is an annual event aimed at creating awareness about caring for the planet and helping save the environment. It is part of the National Geographic Channel’s (NGC) global thrust in support of Earth Day on April 22, 2011 this year. Apart from encouraging Filipinos to care about the planet, NGC also plans to help bring a constellation of stars in the Mind Museum’s Universe Gallery by asking NatGeo EDR online registrants to sponsor a star. Details and mechanics can be found through the EDR website. Sponsors will receive an electronic “Donor’s Certificate” and a sponsorship badge that they can post on Facebook. Their names will also be posted at the Mind Museum website. Online registration was available at www.natgeorun.com until March 27, 2011 only. For more information, please visit the website.